I don’t know what’s with zombies but every time I see a drama or a movie I seem to enjoy it so much – even with all the gore, blood and brains. Truth be told I’m very uncomfortable at the sight of real blood but with zombie films/drama I don’t really mind. 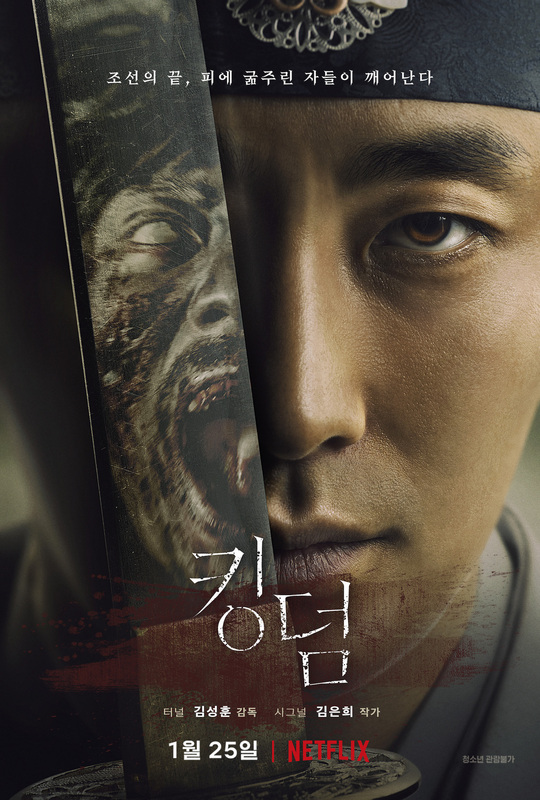 So when Netflix released Kingdom 킹덤 I was excited because it was a drama about zombies! Finally Korea you’re doing it!!! As of writing this blog I have seen it and it did not disappoint me as it was like watching Walking Dead’s sageuk 사극 (historical drama) version. Netflix Kingdom is drama set in the Joseon era. A king has suddenly acquired small pox and has been rumored to be dead. His son, the crown prince, has been accused of treason wanting to overthrow his father’s position to claim it as his own. Desperate to visit his father, the Crown Prince Lee Chang sneaks into he King’s chambers one night only to find an ghastly figure resembling a monster. Curious and determined to uncover the what is happening, he travels to Dongnae to look for the doctor who came to treat his father’s illness. Although I watch a lot of romcoms and slice of life dramas, sagueks are my favorite. If you are like me – who adores traditional dramas and if you like zombies then this drama has the right recipe for you. Like I mentioned earlier in the post – it felt like watching Walking Dead the saguek version. Of course don’t expect the story to be like the Walking Dead. This saguek zombie drama has a story of it’s own. On a side note, this genre (zombie saguek) has never really been explored that much in Korea. To the best of my memory, the only drama/movie I can think of is Rampant. Train to Busan was indeed zombie themed but sageuk zombies are more fun and definitely scarier! It’s refreshing to see Korean dramas venturing into genres like this – times are definitely changing. A lot of people don’t really pay attention to who wrote dramas. But after so many years of watching dramas I’ve placed a value on writers and their works. 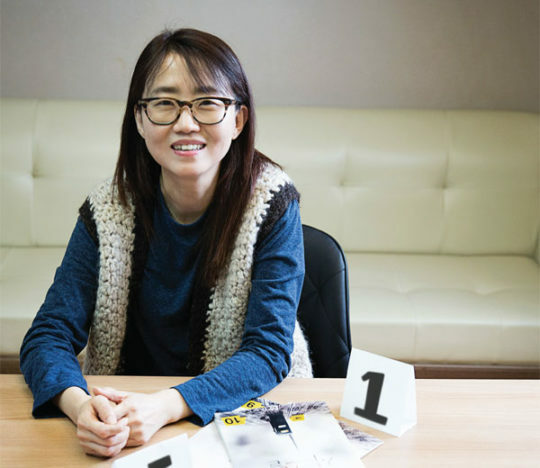 Kim Eun Sook (who wrote Secret Garden, Goblin and Descendants of the Sun) and the Hong Sisters (My Girl, My Girlfriend is a Gumiho and Hwayugi) are my top 2 favorite writers of all time. My top 3 writer is Kim Eun Hee. I’ve been a fan since I saw the drama Sign (2011) and I loved her work more when I saw Signal. She’s not really a romcom / romance writer but her stories are very engaging and keep you hanging until the last moment. After you watch Kingdom I recommend you watching Signal. I am anticipating her popularity as a writer will be on a rise because of this drama. 3. The Actors – need I say more. Aw my crown prince Lee Shin. Princess Hours was his first leading role – his acting that time was far from amazing. However through the years he has greatly improved. His expressions are definitely better and they convey more emotions now. I first saw her in a Hot Potato 고백 Confession MV. Then she caught my eye in Host and Cloud Altas. Then she became my favorite character in Sense8. I couldn’t imagine someone else playing her character Seobi in this drama. She fit the role and I love her even more. In the whole Kdrama world, he is my favorite anti-hero! I am not sure if I am describing it properly but to me he looks like a villain but deep inside he is just a kind guy with a big heart. First time I saw him was in the move My Love. If you’ve been wondering where you saw him, he was the dad in the movies Miracle in Cell No. 7 and Psychokinesis. Typical Korean dramas last for 16 – 24 episodes. Kdrama fans are quite used to this. But if you are a first time Kdrama watcher, you might be a little put off by how long it is. Kingdom on the other hand is pretty short for a kdrama – it’s only 6 episodes long. You’re not investing a lot of time to watching this drama. It’s pretty short — but spoiler alert — you definitely have to wait for Season 2! Yep! If you have been subscribed to this service, this drama was produced by Netflix. And for that thank you Netflix for bringing this drama to life and for making us wait for Season 2! Hahaha… By the way I wasn’t paid in anyway to promote Netflix but I am glad that this service exists and that they have recently been adding a lot of Asian titles to their site. It feeds Asian addiction to users like me. Overall this drama did exceed my expectations and I do recommend it to Kdrama fans. You cannot not watch it – or you’re missing a lot!